The 2019 Chevy Silverado is the ideal everyday truck for the hardworking citizen who believes that putting in their time will always be the best way to produce success. The Silverado is a light-duty pickup that can fit in anywhere, and if you have a job to get done, the 2019 Silverado will make sure nothing standard in your way. Dependable, strong, and long-lasting even in the toughest conditions, the Silverado is the more than just a tool, it’s an honest and noble partner in life. This partner offers everything you could ever desire in your transportation from safety to entertainment. The list of features gets more advanced and exciting with every trim level. Just because this was a truck built for the everyday drivers does not mean it can’t include upscale amenities. The performance stats will speak for themselves with over 12,000 pounds of towing potential and 420 horsepower with its three commanding engine choices. This model also offers you even more freedom with a selection of dynamic trailering packages to offer you the best tech possible while towing. Its size is also nothing to brush off with up to 5,155 pounds of high-strength craftsmanship. Overall, the 2019 Chevy Silverado is the clear choice for anyone who wants an affordable yet powerful pickup that was made for the everyday driver. Chevy Silverado offers eight trims for you to choose from, allowing for you to get the exact truck your budget can handle. Each trim level for the 2019 Silverado is dependable and long-lasting, but the higher up the trim scale you go, the more style and comfort you will gain. The standard trim is labeled the 2019 Silverado WT or Work Truck, which is extremely fitting for such a pickup that is entirely dedicated to getting the job done first and foremost. At the other end of the scale is the 2019 Silverado High Country which will offer all the latest technology and performance features, the sleekest style, and the most luxurious cabin. In between these, you will be able to also invest in the following, from lowest to highest: Custom, Custom Trail Boss, LT, RST, LT Trail Boss, or LTZ trim levels. Versatility in style, power, and price is the greatest strength of the 2019 Chevy Silverado and its wide trim selection only solidifies that fact. The 2019 Chevy Silverado can tow a maximum of 12,100 pounds with its 6.2L V8 engine with 420 hp and 460 lb-ft of torque. With that much power and potential, you will need a lot of additional support in order to keep your load controlled and safe. Luckily, the 2019 Silverado offers two passages specifically catered to advanced trailering technology. <strong>The Advanced Trailering Package</strong> is standard on the LTZ and High Country 2019 Silverado, and offers all the technology you will want to make hitching and hauling as easy and efficient as possible. Hitch guidance with hitch view will incorporate guidance lines for your truck as well as the trailer, as well as allow you to zoom in on the hitch for careful maneuvering. You will also get automatic electric parking brake assist that helps with getting the perfect position while backup up and preventing hazardous movement. The hitch area lighting that is also included will increase visibility even if you need to hitch during later hours of the day. There is also the trailering app for things like a pre-departure checklist, trailer light test, theft alert, mileage, fuel economy, and tire pressure monitoring. These are just a few of the features this package can offer. <strong>The Trailering Camera Package</strong> is only available for the LTZ and High Country 2019 Silverado, and will grant drivers the security of awareness while towing. Awareness is essential while handling heavy loads, and that is why this package offers side view cameras as well as a hitch view camera. You will also be given an additional port for an accessory camera. With awareness like this, you can always be on top of what is happening with your loads and keep everyone on the road, including yourself, safe and sound as you get your haul where it needs to be. The 2019 Chevy Silverado is fitted with a plethora of excellent powertrains to fit its size and class perfectly. You will get the choice between three main engines that each offer their own power output with horsepower and fuel efficiency to spear. The 2.7L Turbo engine comes with active fuel management and produces 310 hp and 348 lb-ft of torque. This engine is paired with a smooth 8-speed automotive transmission and has automatic stop/start technology to prevent wasting fuel. This is the standard engine on the LT and RST trim levels. The 5.3L V8 engine comes with your choice of dynamic or active fuel management and offers 355 hp and 383 lb-ft of torque. This engine is also paired with a sharp 8-speed automatic transmission and fitted with stop/start technology if you get the dynamic duel management, and a 6-speed automatic if you get active fuel management. This is the standard engine for the LT Trail Boss, LTZ, and High Country trims, but you can also upgrade to it on the LT and RST trims. That being said, a pickup truck is not much without its towing capabilities. The 2019 Chevy Silverado offers drivers a minimum of 7,500 pounds of towing potential, and a maximum of 12,100 pounds, making it extremely efficient for a light-duty truck. You will also find it extremely efficient in fuel management with up to 23 mpg with the new dynamic fuel management engines available for the 2019 Silverado. The 2019 Chevy Silverado is designed to be a hard-working truck that even with its impressive mass and powerful body manages to sleekly instill itself into every lifestyle. Presenting strength and professionalism will never be an issue with the subtle yet cohesive style choices. The front grille and headlights are one solid piece that covers the entire front and manages to be commanding without being abrasive. The lights are slim and stylish, but still effective in providing ample visual clarity even in the worst conditions. Going around to the back, you will find a number of efficiently placed design elements. A 120v outlet is available for easy power access in case you need to work from behind, and the LED rear task lighting will make that work easy to do at all hours of the day. The 2019 Silverado also comes with a corner step bumper with a generous foothold to allow for easy in and out access to the bed, even in bulky work boots. Speaking of beds, this model offers a best-in-class cargo box volume so you will be wanting that easy access. The longer a truck lasts, the more you can love it. 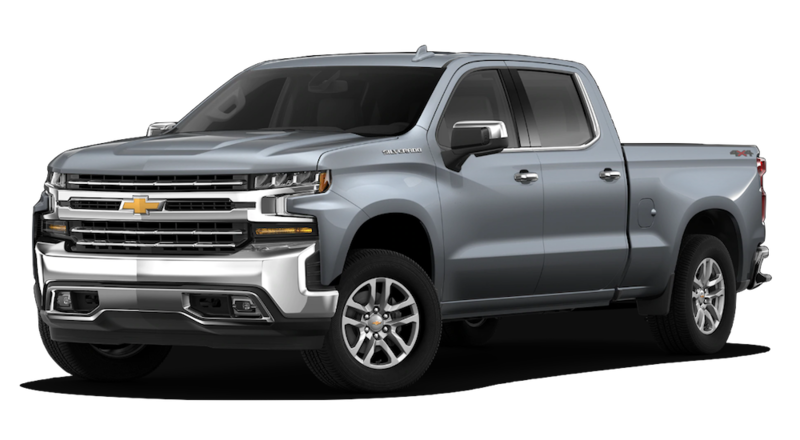 Built with high-strength, roll-formed steel, the 2019 Silverado is also designed to be as durable as possible in order to ensure a long lifespan. No matter the work or weather, the 2019 Chevy Silverado is as stubborn as they come and is sure to age gracefully. Whether you want to show your professionalism at work or want to take the family safely on a vacation with the trailer or boat, the 2019 Chevy Silverado is designed to match your needs in both efficiency and style. At Carl Black in Nashville, we feel as though the automotive world needs more reliability in their vehicles as well as their dealerships. We are proud to say that all of our vehicles are known for their ability to withstand the test of time and push themselves to limits you never dreamed possible. Our service is also something that will never fail to meet your expectations. Customer-centric and genuinely passionate about our inventory of quality vehicles, you will not find a more trustworthy dealership. We also understand that words alone mean very little, and that is why we would be thrilled to personally shake your hand and show you exactly what we can offer you in person to make your automotive journey as easy as possible. 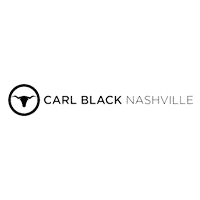 So if you ever want a dealership that takes pride in what they are doing for the automotive community, then Carl Black in Nashville should be your first and last choice.